He retired as one of the best quarterbacks to ever play the game. Peyton Manning had a knack for leading his team downfield for a late score, and in his final game won Super Bowl 50 with the Denver Broncos. 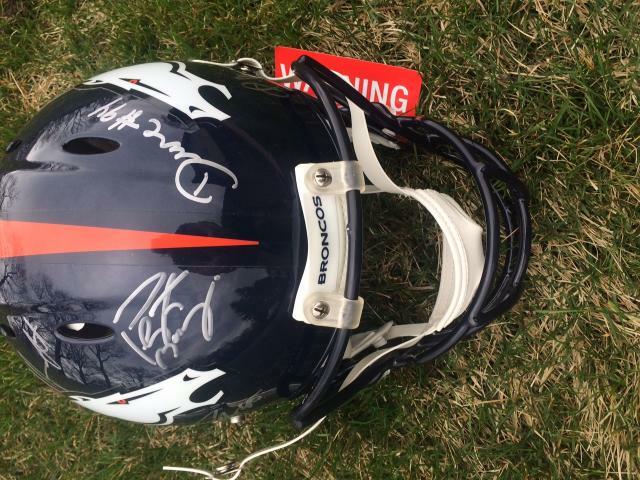 This authentic Game Model helmet is signed by Peyton Manning and several other Broncos stars, including: Vonn Miller, CJ Anderson, Derek Wolfe, Ronnie Hillman, Brandon McManus, Emmanuel Sanders, TJ Ward, Darian Stewart, and Demarcus Ware. 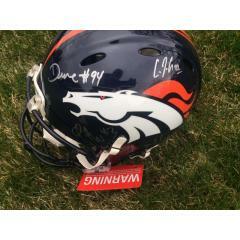 This helmet and all autographs are Fanatics Authenticated! 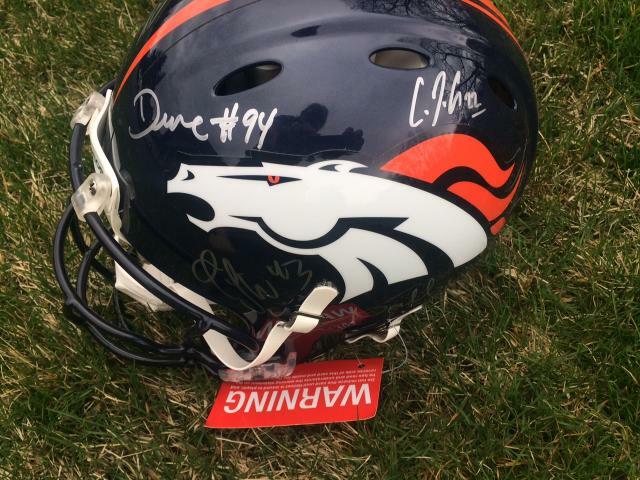 This authentic, autographed Game Model Broncos helmet will look great on any shelf in your home or office. 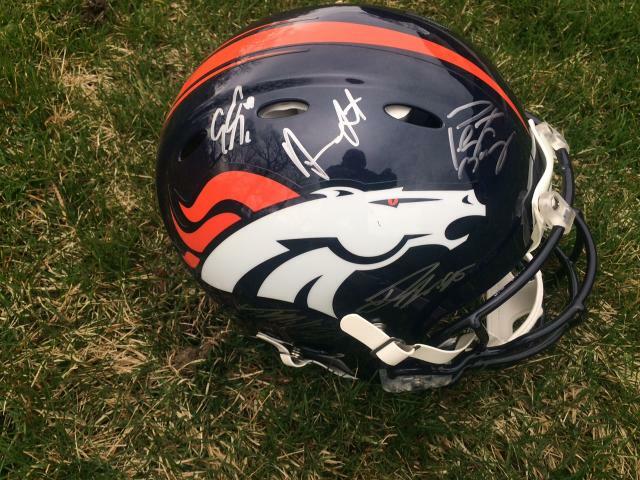 Broncos fans and sports memorabilia collectors will find this item most attractive. This signed helmet is no. 31 from a Limited Release Series of only 50 total signed helmets. Get it today for your collection before it is gone. Due to the rare nature of this item we must charge your credit card for the full price immediately upon taking your order. This policy ensures we reserve the signed helmet for you. We will confirm your order by Email. This helmet is not game used. This item is IN STOCK and ready for immediate shipping.